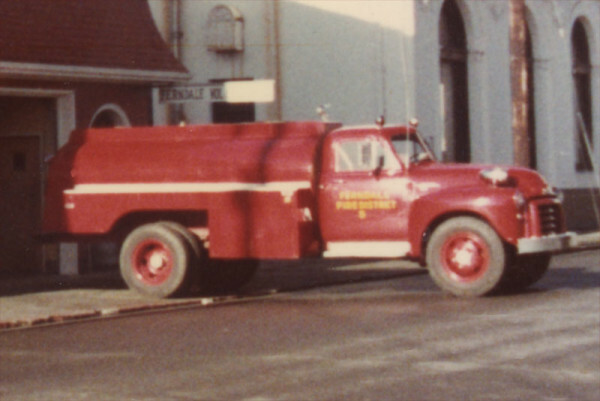 According to Dave Nicholson, this truck was left behind after the 1964 flood by a construction company who used it as a fuel truck. It was donated to the Ferndale Fire District. It had an old 6 volt system, and if you used the siren, the lights would go dim. (Sort of like the current Tender 5) It had a steel tank that rusted through, and was replaced by the 1972 International Tender 5.